In the dating world, I can’t tell you how many times I’ve heard the words “she’s crazy.” Are women by nature deeply sensitive, moody, and unbalanced? Or, are they just greatly affected by female hormones, which are constantly circulating through their bodies? Medical doctor and author of The Female Brain, Louann Brizendine, claims that “the female brain is so deeply affected by hormones that their influence can be said to create a woman’s reality.” Thankfully, there are many natural ways to balance erratic hormones, which have a mind of their own. By reducing stress, eating a healthy diet, taking the right supplements, and maintaining overall good health, many women have been able to manage their hormones and avoid PMS completely. 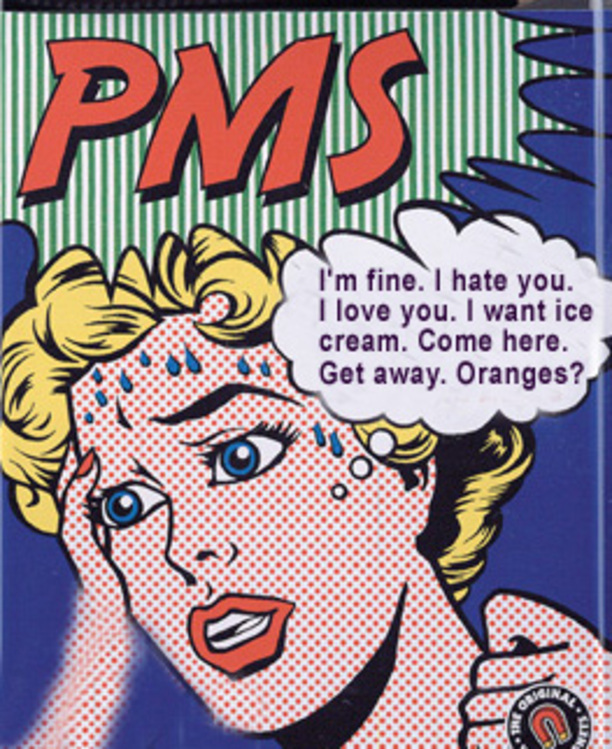 PMS, also known as premenstrual syndrome, is caused by an imbalance of hormones. Did you know that 75%-90% of women experience symptoms of PMS? Although very common, this doesn’t mean it’s normal. When PMS symptoms such as anxiety, irritability, and uncontrollable crying take place, the body is simply communicating its need for re-balancing. 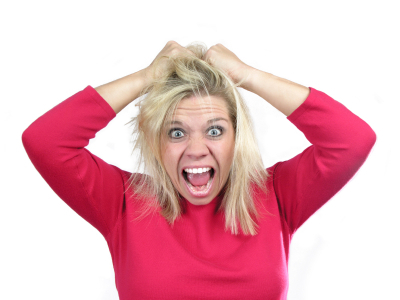 Women do not need to feel emotionally unstable or out of control before or during their period. The question remains – why are hormonal imbalances on the rise and presenting in girls as young as 10 years old? The answer is clear. Women are over-exposed to hormones in their food, their polluted environment, their choice of contraception, and their personal care products. In general, they have stepped away from putting their bodies first. Not to mention that society has managed to normalize a fast-paced, stressful, un-nurturing lifestyle. I’m putting my foot down and letting you know that it’s time to stop. Make your health a priority, and start listening to that inner voice that is crying for better care. 1) Reduce your stress levels. I know you’re super busy and don’t have enough hours in your day, but it’s time to stop making excuses or you’ll never embrace a healthier lifestyle. Practice meditation, put your phone away, and leave work at work. 2) Get some sleep – it regulates your hormones. I recommend at least 8 hours of sound, restful sleep. Check out this article for more tips: http://eligiblemagazine.com/2012/04/11/help-me-sleep/. 3) Consider a plant-based diet at least a few times per week. Hormones in your food can affect your natural hormones so stop complaining about the price of hormone-free organic chicken and meats. If you’re not a vegetarian, your grocery bill may unfortunately be a little bit higher. 4) Keep your blood sugars stable by consuming regular meals. Going more than 6 hours without food affects your hormones. Eating sugar and junk food frequently makes PMS worse and disrupts your natural cycle. My naturopathic tip of the week: for the first half of your cycle, have 2 tablespoons of ground flax or pumpkin seeds each day. For the second half of your cycle, have 2 tablespoons of ground sunflower or sesame seeds each day. 5) Take the right supplements: you need a good quality multi-vitamin, B vitamins (especially B6), fish oil, and magnesium. 6) Hit the gym regularly, pump some weights, and do yoga. This will release endorphins, increase your energy levels, and ensure you get a good night’s sleep. In my opinion, lifestyle changes are much better than pain killers to treat menstrual cramps, low back pain, and hormonal headaches. I strongly suggest addressing the underlying causes of PMS rather than taking the birth control pill, which is commonly prescribed to ‘fix’ an imbalance in female hormones. I’ve seen many women naturally treat their menstrual issues and resolve PMS simply by changing the way they eat, embracing healthier lifestyle habits, exercising regularly, and taking the right nutraceuticals. So, in the end, most women aren’t crazy, they’re usually just hormonal. Give them a break and let them know they need a mind and body detox.